Shielding Single Face. Dials for Analogue time, hours and minutes, dial for smooth seconds. 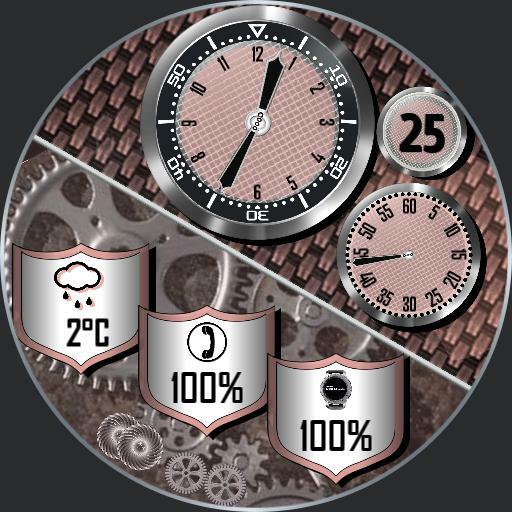 Date, day of month number, Shield icons, weather icon and current temperature, dials with icons for watch and cell. Background animation. Tap actions colour theme for background, mid left next ucolor, mid right previous ucolor.